This item appeared in the January 2017 issue of The White Way, newsletter of Moiliili Hongwanji. For more photos, display page 7 of that issue. We were delighted to welcome Mrs. Tamayo Matsumoto as our guest speaker for the BWA-sponsored Hoonko Service held on November 6. Besides hearing a warm dharma message, we were able to learn more about Chika and Caden who spent their early years here at Moiliili Hongwanji when Bishop Matsumoto served as our Resident Minister. At the service, we also remembered six BWA members who passed away during the past year. Our general meeting and election of officers followed the service. While the office of President is presently open as Karen Kikukawa stepped down due to family responsibilities, the other officers for 2017 are 1st VP Alisa Kondo, 2nd VP Nancy Hironaka, 3rd VP Cyndi Osajima, Recording Secretary Jeanne Watari, Asst. Recording Secretary Ann Nakata, Corresponding Secretary Noriyo Morikubo, Treasurer Susan Morishige, Asst. Treasurer Irene Nitta, and Auditors Cynthia Ogasawara and Satsuye Tanaka. Past President is Lois Ohta. 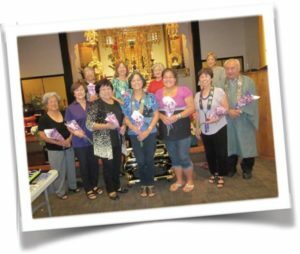 Mahalo to our incoming and outgoing officers. We send a warm thank you to those who helped us clean the kitchen and annex sink area during the temple cleanup on November 27. These areas are super clean and neat thanks to your hard work! 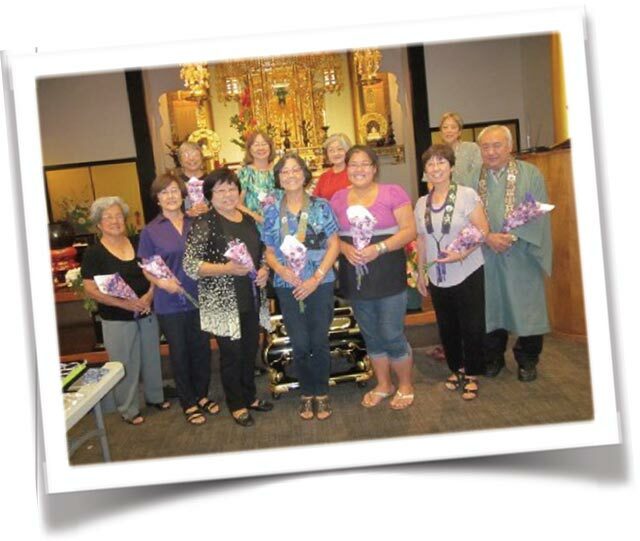 Welcome to new members Martha Samson and Nancie Haranaka-Tsubota. Upcoming events: There will be a BWA Board of Directors meeting on Saturday, January 14, 2017 at 1:00 p.m. in the annex hall. We hope all board members will be able to join us as we plan for the upcoming year! Also the BWA will be preparing the otoki for the Hoonko Service on Sunday, January 22. Your kokua is greatly appreciated. Our next general meeting will be in February and the date will be announced. We look forward to wonderful opportunities to grow together in the Dharma as we participate in our many activities. We wish you all a very safe and joyous 2017!